When entering into a contract the parties operate under particular external circumstances, such as the rate of inflation, availability of certain means of transportation or foreign exchange rates. These external conditions are subject to changes, sometimes drastic and unexpected. Thus, sudden exchange rate fluctuations, unexpected volatility in prices of raw materials, hyperinflation etc. may seriously affect the performance of the contract and upset the contractual equilibrium. The book examines the nature and consequences of such changes for the contract and analyzes the relevant norms of English, French, German, Russian and Armenian law, as well as Private International Law. It approaches the issue from both historical and contemporary comparative perspective to come up with a set of recommendations for practicing contract lawyers and the legislature. 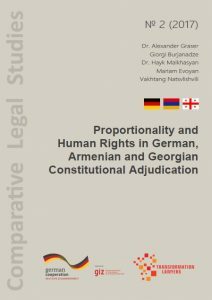 Hayk Malkhasyan also authored a chapter in “Proportionality and Human Rights in German, Armenian and Georgian Constitutional Adjudication” – published in Tblisi, 2017. 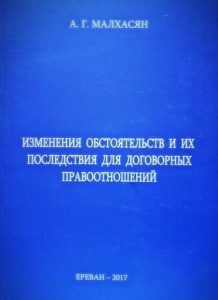 This work encompasses a research on the issues and challenges of application of the proportionality principle, which requires that the means chosen for restricting fundamental rights be suitable and necessary for the achievement of the aim prescribed by the constitution, and proportionate to the significance of the restricted right. 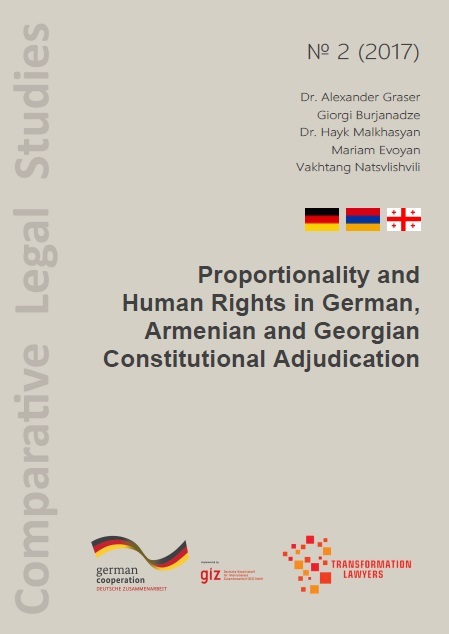 It analyzes the application of the principle in Armenia and Georgia, while drawing from German and ECtHR experience. It provides the reader with an overview of the German doctrine and practice, followed by a review of the European Court of Human Rights’ jurisprudence. 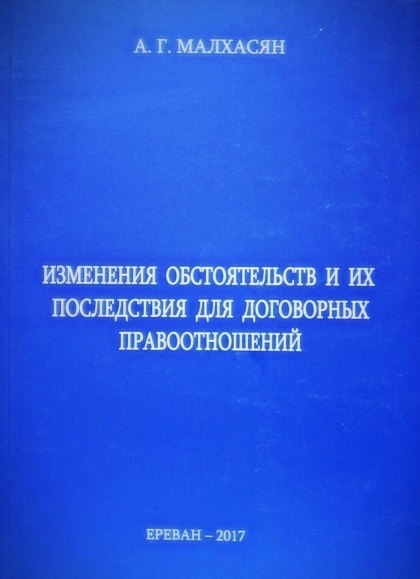 It further addresses the application of the proportionality principle in Armenia and Georgia, by discussing the areas of application of principle and outlining the current issues. Professor Armen Mazmanyan’s chapter on constitutional courts was published in “Elections Watchdogs: Transparency, Accountability and Integrity”, an Oxford University Press volume edited by Pippa Norris and Alessandro Nai. 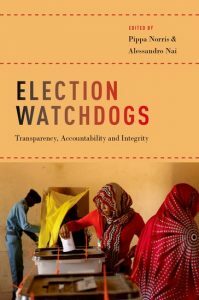 The study is part of the Electoral Integrity Project (EIP), a research project based at Harvard’s John F. Kennedy School of Government and the Department of Government and International Relations at the University of Sydney.